Catholic leaders say the Pope shows the importance of helping others through his actions, not just his words. Catholics in central Maine welcomed the news Wednesday morning of Pope Francis being chosen as Person of the Year by Time magazine, saying the pope has elevated the theme of caring and compassion for others by practicing what he preaches. At the Bread of Life Soup Kitchen in Augusta, Roy Rabe, a Catholic volunteer serving free meals to visitors, said he admires the pope’s background. Another volunteer, Michel Tessier, 69, of Dresden, said he no longer considers himself a Catholic, but he thinks the pope has opened the church up more since starting nine months ago. 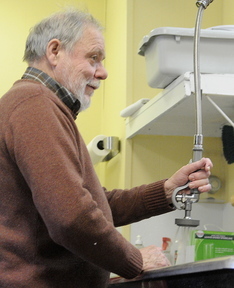 Tessier, whose wife, Patsy, manages the soup kitchen, said Pope Francis has done a good job of expanding his work to help more people, echoing the thoughts of local Catholic leaders. The cover story discusses the pope’s comments showing a disdain for capitalism and trickle-down economics, and his compassion on the difficult issues of abortion and divorce. In an interview three months ago, he criticized the church for prioritizing moral doctrines over helping the poor and marginalized. Some Catholic leaders said they welcomed the message change, which they said is one of the reasons the pope deservesthe annual honor from Time. 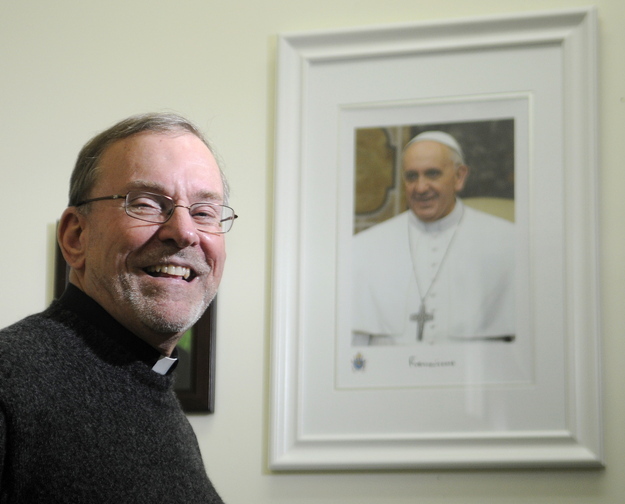 Dean Lachance, executive director of the Bread of Life Ministries in Augusta, said the pope has shown through his actions and words that he’s an outward promoter of justice and caring for the poor. He compared the pope to Nelson Mandela, the former South African president who died last week. “It’s nice to see positive caring leaders in the world, and it seems that Pope Francis is an expression of exactly that,” Lachance said. Time has been naming a Person of the Year, formerly Man of the Year, since 1927. The magazine’s editors choose the person or group of people who most affected the news and lives of people in the world each year — sometimes for negative reasons, as is evident by bestowal of the honor on Adolf Hitler in 1938. Two other popes — John XXIII in 1962 and John Paul II in 1994 — have made the list. 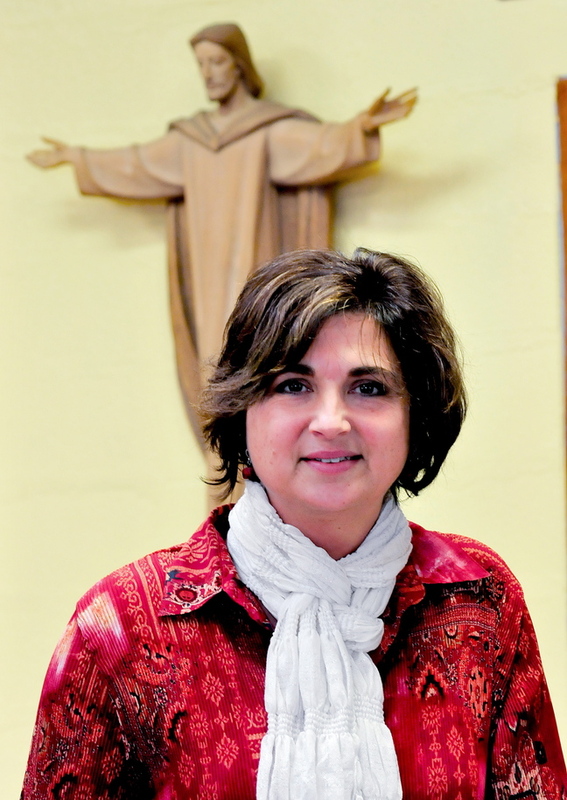 Vicki Duguay, assistant principal at Mount Merici Academy in Waterville, said she’s glad to see Pope Francis chosen this year because he’s a good role model for the students by actually reaching out and helping those in need. She said service is a major focus of the Catholic elementary school, and teachers and other staff members encourage students to think beyond themselves. For instance, Duguay said, sixth-graders have been raising money for victims of the recent typhoon in the Philippines last month with a bottle drive. “He’s really brought some life to our ministries. He not only preaches tolerance and compassion but lives it. That’s something we really try to teach at Mount Mereci,” Duguay said. The Rev. Francis Morin, the administrator of the St. Michael Catholic Parish in Augusta, also said he thinks the pope has brought new life back into his role in the church. Unlike his predecessor, Pope Benedict XVI, Morin said Pope Francis speaks less professorially and tends to be more spontaneousness. His off-the-cuff comments seem more meaningful, Morin said. Besides his words, Morin said Pope Francis’ encounters with people show his commitment to helping the poor and others who need assistance. “His actions certainly are speaking very loud. Very loud,” he said. Morin cited photos taken last month of Pope Francis holding and kissing the deformed face of a man visiting St. Peter’s Square in Rome as an example of his compassionate behavior toward others.